It's been a busy year around here at Authors are ROCKSTARS! While Michelle was preparing for a big cross-state move earlier this year, Allison had the pleasure of interviewing Unremembered author Jessica Brody via Skype. We talked about her journey as a writer, moments in her life that she'd like to "unremember," and of course... the karaoke question. 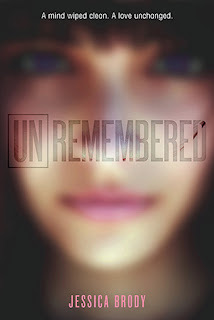 Visit Jessica's website to learn more about Unremembered and her other books, and stop by her publisher, Macmillan.